I love conferences. They're exhausting, distracting, often set me back in the immediate projects I'm working on, and yet I love them nonetheless. I love them because they create an opportunity to reset, to see what are emerging as themes in the industry, and to make new connections and draw new insights. I write as a way to process my experience, and I've struggled to decide what to highlight from my time last week at Web Unleashed 2017 in Toronto. I began this post on the airplane heading back from attending, and have come back to it several times to figure out how to sum things up, but in the end I'm going to focus on the parts that hit me emotionally, rather than trying to summarize all of the dozens of amazing speakers and topics. Before I jump into the conference, a quick note on Toronto. I've never been to Toronto before, and I was blown away by the genuine friendliness and kindness of everyone I encountered. It reminded me of one of my favorite things that I miss from living in San Diego - people who are interested and engaged in life, without taking themselves too seriously or obsessing over it too much. From the room MC at the conference who introduced everyone with a song played on Ukelele, to the coffee shop server who happily responded to my "have a great day" with "have a better one! ", to the way even folks who were living on the street were genuinely friendly and talkative, I don't think I've ever felt so immediately at home in a new place. For me, the big reset this year, the part that hit me the most, was related to design. More specifically, it was related to embracing the possibilities of becoming more of a designer. I have always identified as an engineer, and even as I've moved over time to spend more and more of my time on the front-end, more and more of my energy thinking about human and interaction problems, I've still continued to hold to that identity. "I can make your site or application look and behave however you want, and I'd love to think through the interactions with you, but you don't want me to design it." But then on Tuesday, something happened. Maybe it was because it was the second day - being tired, I was more vulnerable to doubt and emotion creeping in. Or maybe it was because I had already spoken, and my mind had energy to spend again without the stress and focus of an impending performance looming over me. Whatever the reason, on the second day of Web Unleashed I was hit with a trifecta that dislodged some of that certainty in my identity and made me start to question again. First, I attended a panel on being a hybrid in the tech industry. I've long identified as a hybrid - self taught in engineering, long interested in storytelling and marketing, and definitely following a nontraditional career path - but never as a design/engineering hybrid. The panel was a wonderfully cathartic experience - though focused on design and engineering, it highlighted both how poorly organizations are set up to deal with multi-talented people, and yet how well people can deal with it. It also highlighted how much of design, much like engineering, is self taught.  My company ZenDev exists because of how much I value teaching and learning, and the panel started me thinking that perhaps, just perhaps, I should be putting some of that learning time into a focus on design. Coming out of this I felt both inspired and empowered to start learning, bit by bit. Steve Truong published a wonderful list of resources for learning about design, and I can't wait to get started digging in. The next talk I went to was probably my favorite of the conference. Fatima Remtullah did an incredible job of breaking down the steps she uses to create beautiful SVG-based avatars. As someone who is not a designer, working with a talented designer often feels like magic. I've had the blessing to work with some amazingly talented folks (Tim and Jon I'm looking at you just to name a few! ), and it really does seem like a magician at work. Wave a wand, flick the wrist, and suddenly this ugly idea or prototype I've developed is not only more beautiful but more logical, more concise, and easier to understand. Amazing, but also unapproachable. What Fatima did was to pull back the curtain a little bit and show, step by step, how to approach one specific design problem. I left the talk feeling inspired and empowered, like maybe I too could learn to do something like that. The conference closed with a bang, as Vitaly Friedman of Smashing Magazine spoke about their big redesign. There are many interesting points to take away from the talk - the way they have shifted to a completely static architecture, their approach to responsive development with a minimum of media queries, or their text-first approach to design - but I want to highlight two things simple statements that really knocked me over the head. For Smashing Magazine, they have cats everywhere. There are a multitude of cats, and they are everywhere. Vitaly even commented that he doesn't like the cats, but folks all resonated with the cat, and so it has become a core part of their identity. I think this is such a key idea. So often we either try to be unique about everything, or conform to best practices everywhere. The former creates an unpalateable mess, while the latter leads us to monoculture. By choosing one thing to focus our identity around, we can become unique but still approachable. Bringing these pieces together, the underlying reset was to stop assuming that design is a magical thing inaccessible to me as an engineer. As I mentioned above, I've frequently told folks that I can "build everything from your servers to your CSS, but you don't want me deciding what it should look like", but maybe... maybe that doesn't have to be so. I don't really know why design (and particularly visual design) has always felt unattainable to me, but it has. With coding skills I've never really felt like I "couldn't get it", only that I needed to work at it more or find a better learning resource, but somehow design felt like a different ballpark. If I'm going to summarize one emotional takeaway/leap I got from this conference, it was that it doesn't have to be that way. That being an engineer doesn't preclude being a designer, and that I can choose "one little thing" to learn about design each week. I've got a lot of different things going on right now, so I can't take on too much additional work, but I don't want to lose this inspiration and momentum, so I'm going to challenge myself to learn 1 new design skill each week for the next 3 months. At 1 skill a week, it's small enough to feel tractable even with a lot going on, but still enough of a commitment that I should be able to get somewhere. I'll post my progress to keep myself accountable. This week, I'm going to start with Fatima's example and create an SVG avatar for myself! What about you? What skills are you working on, and how are you keeping yourself accountable? Let me know in the comments, I'd love hear about the cool things you're doing, and learn from you about more ways to keep making forward progress.